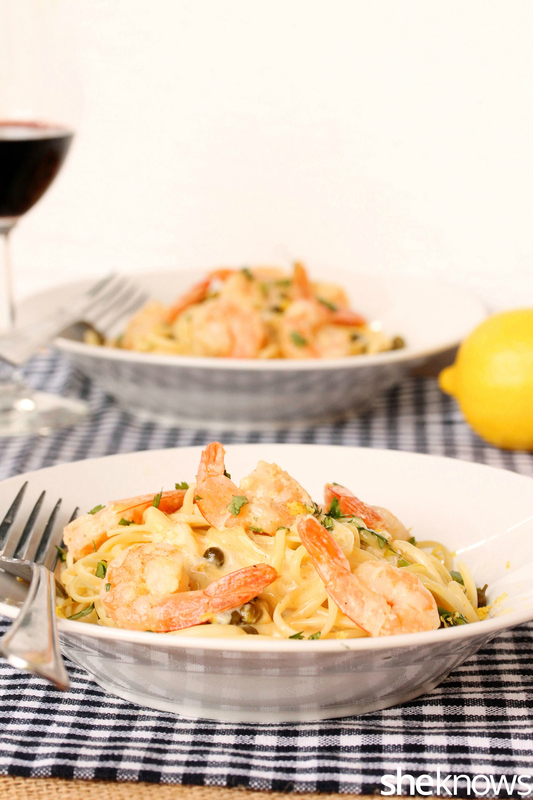 Try this linguine and shrimp in a light yet rich brown butter and lemon cream sauce with capers that tastes like it’s made in a restaurant. Although this delicious pasta dish tastes like it’s made in a restaurant, it’s actually quick and easy to make at home. This is one of those less-is-more recipes that can be whipped up in no time but tastes like it should take much longer to prepare than it really does. I love these kinds of recipes. 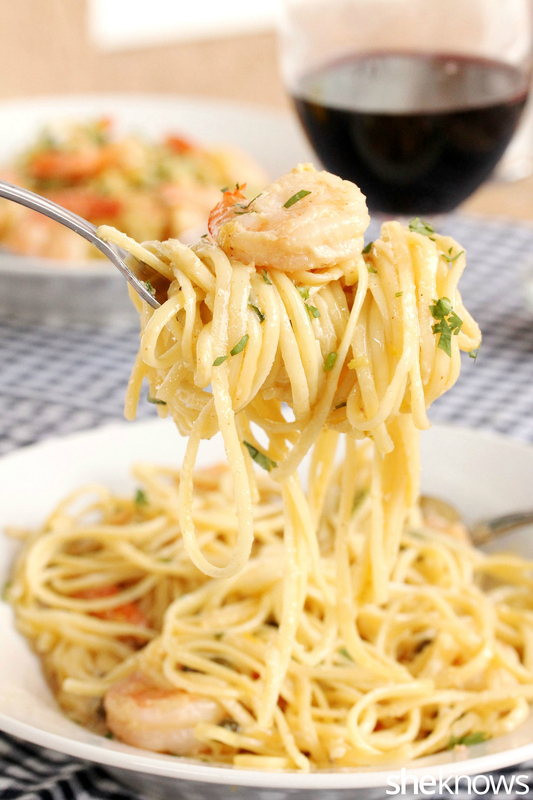 The sauce on this delicious pasta is made with brown butter, fresh lemon and cream. It definitely takes will power to not lick the spoon when making this sauce. Of course, there’s nothing wrong with doing a taste test with a separate spoon — or lots of separate spoons. I especially like the capers in this dish, which add a surprise pop of flavor and a nice contrast of color. So give this delicious, quick and easy meal a try for dinner tonight, and enjoy the extra time you save. 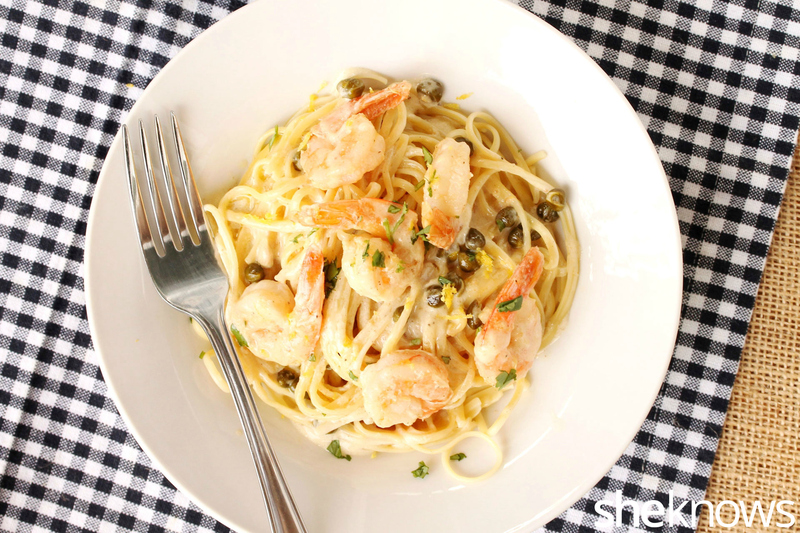 Linguine topped with shrimp and a rich yet light brown butter and lemon cream sauce with capers is a delicious meal made in only 20 minutes. Heat a medium-size skillet on low heat, and add the butter. Stir the butter as it melts. When the butter has completely melted, add the garlic powder and shrimp. Continuously stir the shrimp in the butter. 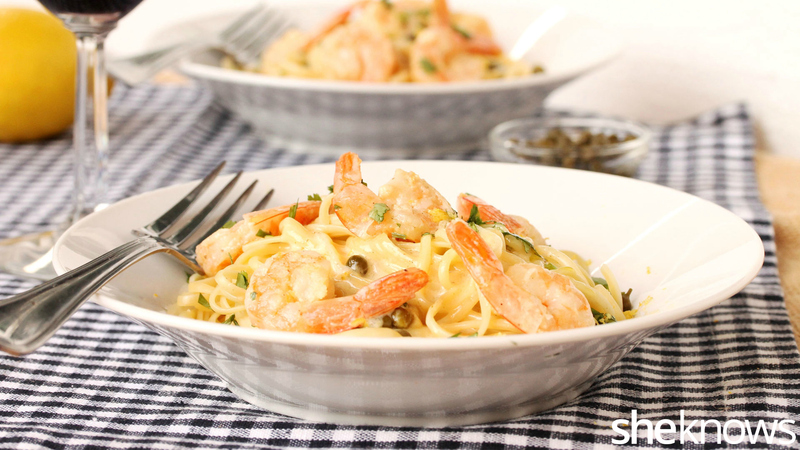 When the butter starts to foam (about 5 minutes), transfer the shrimp to a separate dish. Continue stirring the butter until it turns a golden color (about 2 more minutes). Then add the lemon juice, 1/2 the zest, the cream and the capers. Turn the heat up to medium, and stir as the sauce cooks. Let cook until the sauce starts to bubble (about 3 to 4 minutes). Taste test the sauce, and add salt if desired. Add the cooked pasta to a strainer, and run hot tap water over it quickly just to warm it up. Add the pasta to serving dishes. Top with 1/2 the brown butter and lemon sauce. Add the shrimp to the pasta, and top with the remaining sauce. Garnish with the remaining lemon zest and the fresh parsley or cilantro.